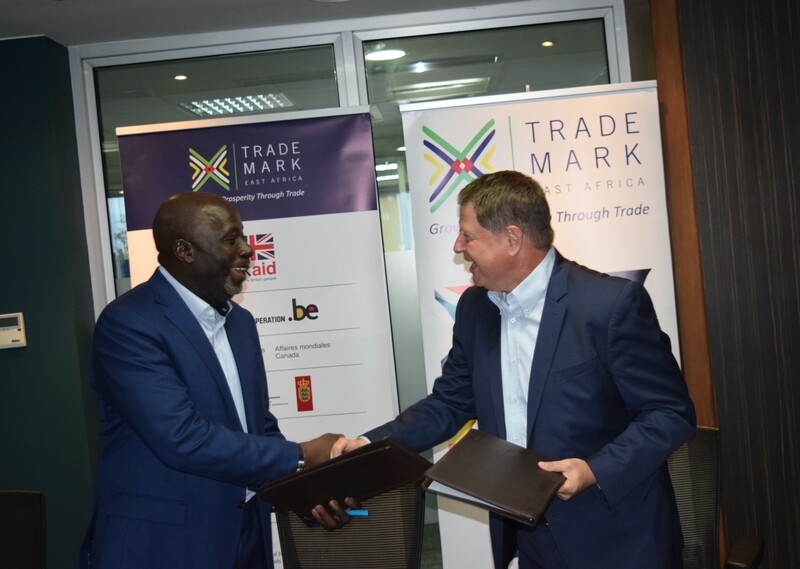 TradeMark East Africa (TMEA) and the AfroChampions Initiative (ACI) on Thursday signed a partnership agreement committing to provide support to governments and the private sector in realising the Africa Continental Free Trade Area. The agreement was signed by Frank Matsaert, TMEA CEO and Ali Mufuruki, Regional Chair, AfroChampions Initiative (ACI). Both organisations have a common interest in building partnerships that promote economic integration as a strategic growth driver for the African continent. The areas of mutual agreement in the partnership include private sector engagement, strategic advocacy with governments and the private sector and improving access to information. “We are delighted in partnering with ACI to help support the realisation of the largest trade agreement which will increase Africa’s trade, increase GDPs and create jobs. TMEA, is excited to lend its expertise in supporting the realisation of this dream,” said TMEA CEO Frank Matsaert. TMEA and ACI will leverage their expertise in trade facilitation to foster cooperation between African private operators across the continent. The two organisations will identify projects of regional or pan-African importance that require investment from African or foreign investors. Both TMEA and ACI will then promote and participate in the successful projects which will be designed to support the regulatory and technical implementation of the Agreement on the AfCFTA. The pact aims to boost intra-African trade by making Africa a single market of 1.2 billion people and a cumulative GDP over US$3.4 trillion. The United Nations Economic Commission for Africa (UNECA) estimates that the implementation of the agreement could increase intra-African trade by 52per cent by 2022 (compared with trade levels in 2010) and double the share of intra-African trade (currently around 13per cent of Africa’s exports) by the start of the next decade. Among the AU member states that did not sign the pact are the continent’s two largest economies – Nigeria and South Africa. Botswana, Lesotho, Namibia, Zambia, Burundi, Eritrea, Benin, Sierra Leone and Guinea Bissau are the other member countries which did not sign the pact. Under the CFTA, governments commit to removing tariffs on 90per cent of goods produced within the continent. The next step for the governments is to ratify the CFTA in their countries within the next 6 months. A full Free Trade Agreement (FTA) eliminating all tariffs in the CFTA could generate welfare gains of US$ 16.1 billion, at the cost of US$ 4.1 billion in trade revenue losses (representing 9.1per cent of current tariff revenues). GDP and employment are expected to grow by 0.97 per cent and 1.17 per cent respectively. Intra-African trade growth is estimated at 33per cent and the continent’s trade deficit is expected to drop by 50.9 per cent.